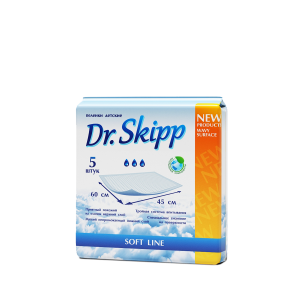 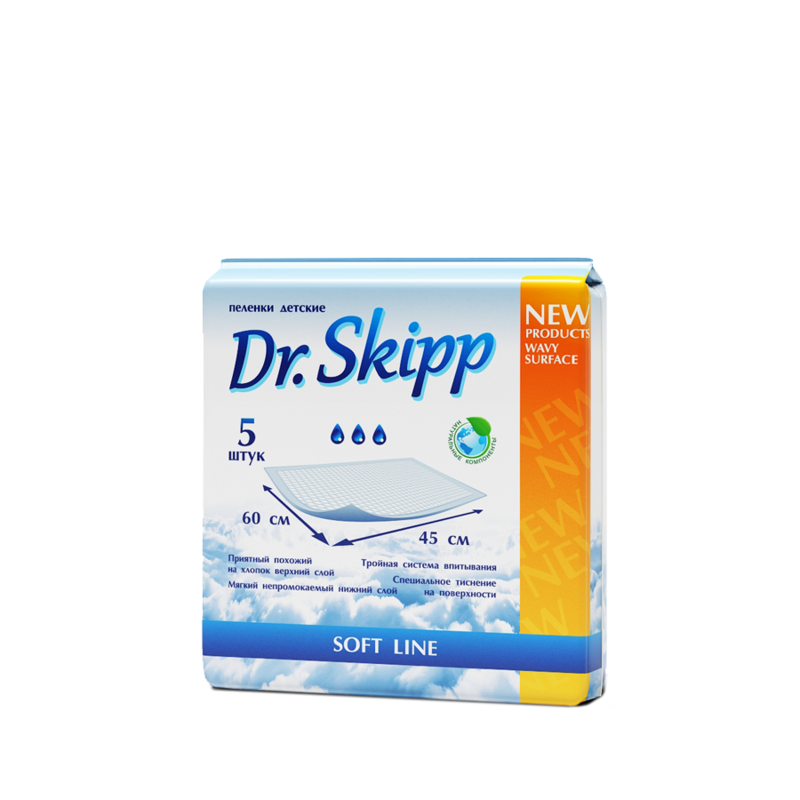 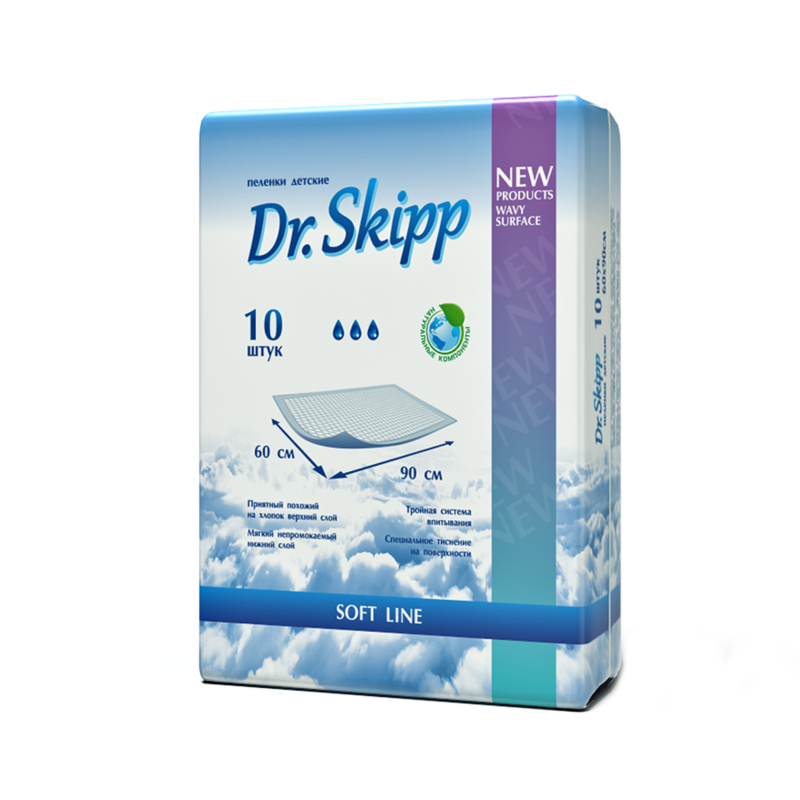 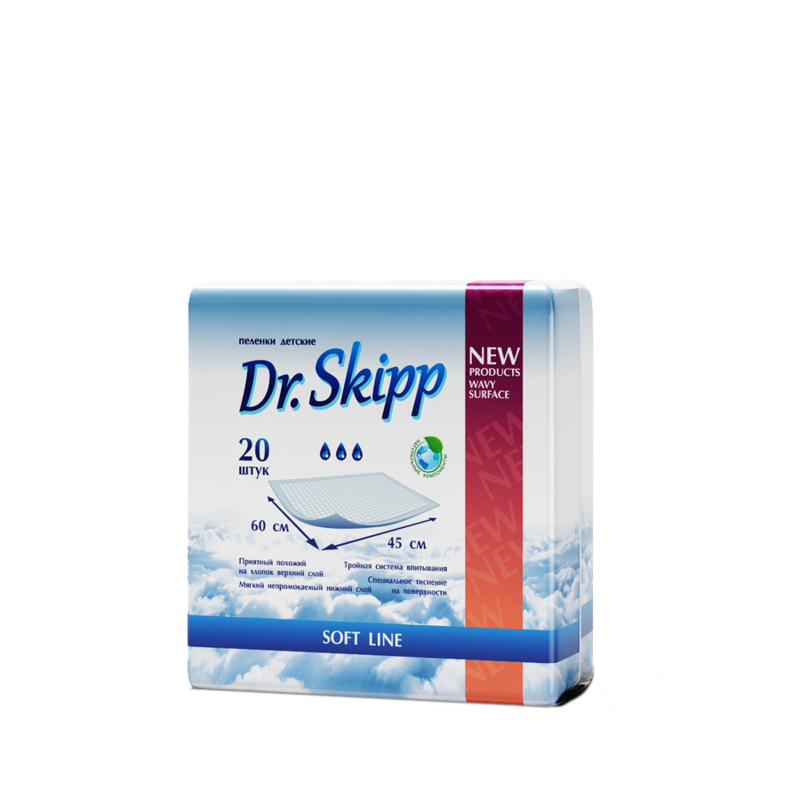 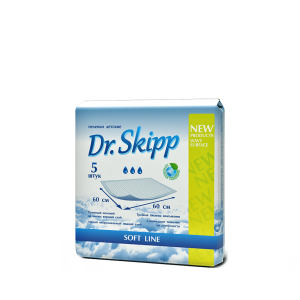 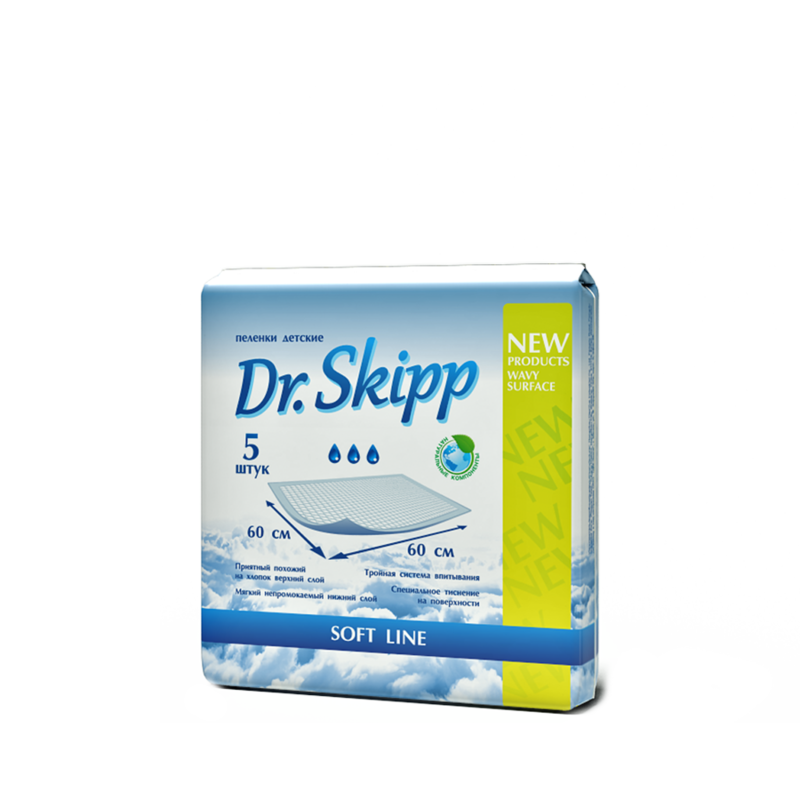 Absorbent Pads “Dr.Skipp Soft Line” offer some unique features. 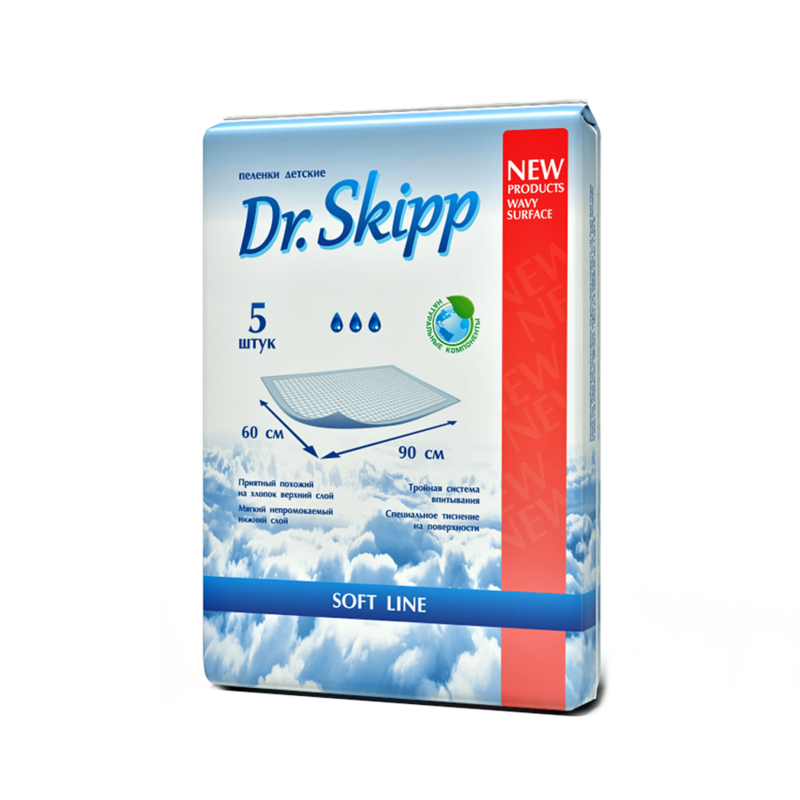 The pads are passed through an additional rotation system during their production process, which leads to it becoming thin and dense, with a perforated surface. 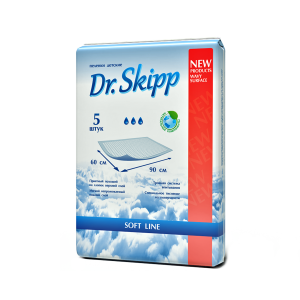 This leads to higher liquid absorption, and protects the covered area without any leaks, leaving the surface layer dry. 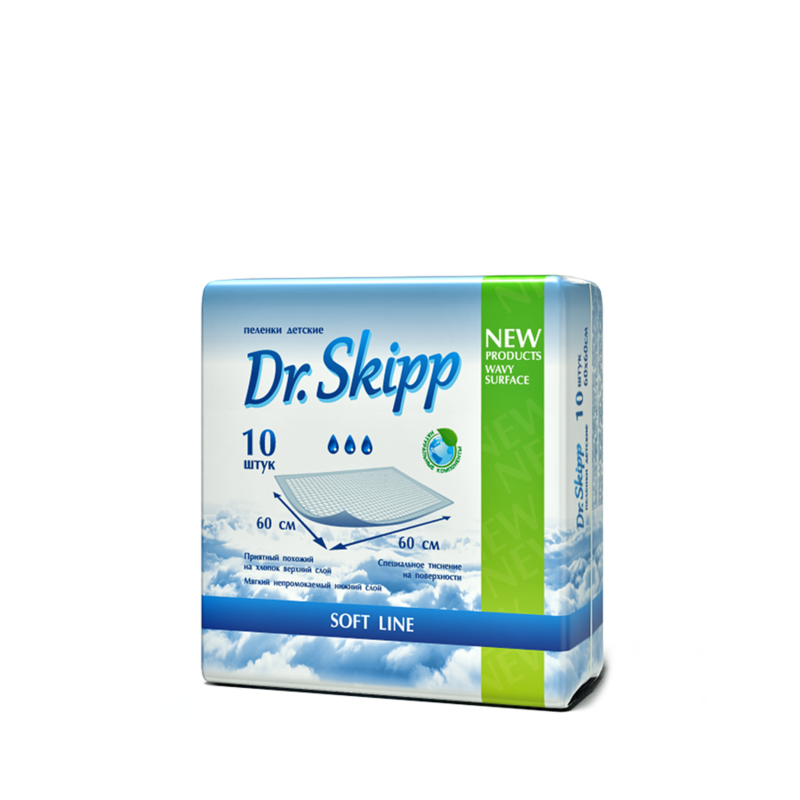 Liquid go through the perforated surface and become absorbed inside the pad, transforming into gel. 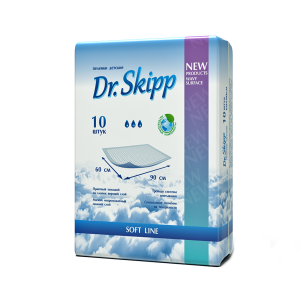 Thanks to the extra quantities of SAP (superabsorbent polymer), our pads are lighter and have a higher threshold compared to other brands. 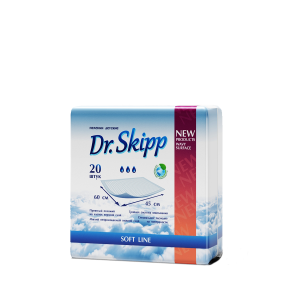 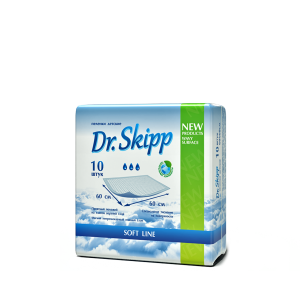 Again, we offer “Dr.Skipp Soft Line” pads at the discounted prices compared to the competition.